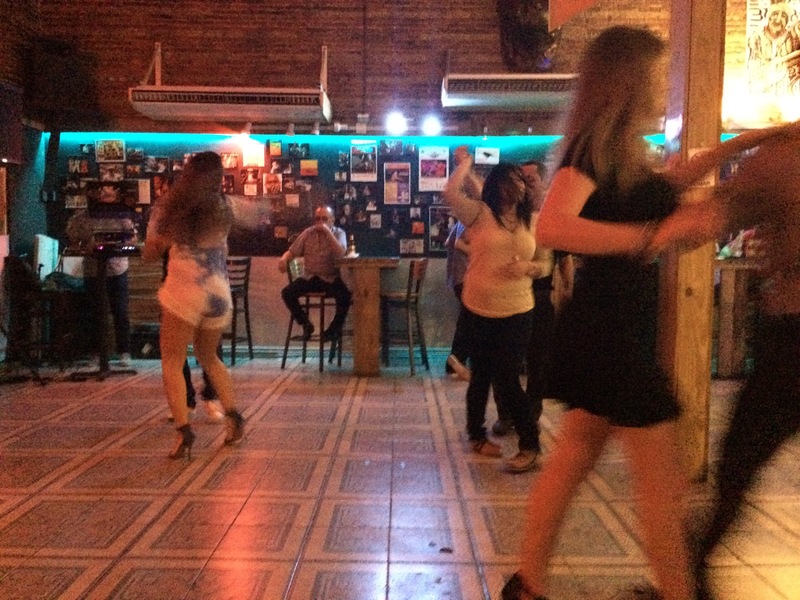 It was time to find a better salsa venue. I wasn’t digging La Naza anymore. There had to be another. With feelers put out, I heard there was a dance. Tonight. Like, 10 minute drive away. Time to muster up some more courage venture out at night by myself. It had been a while. I fell into the rut of meeting people at my destination. But I had to go. Support network or no. No one dancing. Me gazing around bar trying to look nonchalant. See another solo girl. Well, she looks nice. I go sit next to her and chat her up. She speaks really fast Spanish. Have I mentioned that I can’t understand Spanish shouted over blaring music? I have. But we chat a while. She’s in a salsa class. 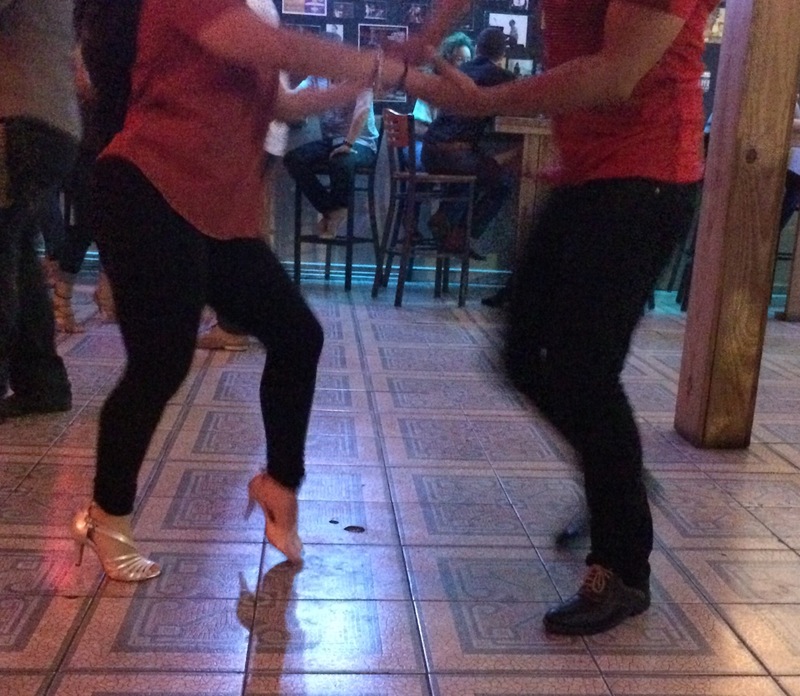 The lady with ‘legs up to here’ sitting by the door is the salsa teacher. Someone asks my new friend to dance. She asks me to watch her purse. Sure. Immediately a guy asks me to dance. Eh, her purse will be fine. Vamos a bailar! Well, I just love surprising my leaders. 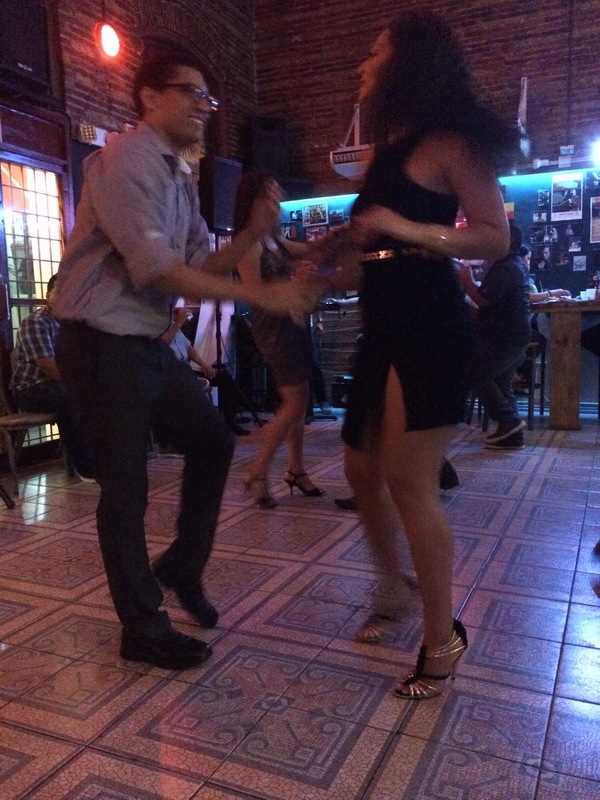 Don’t tell them, but salsa is much easier than lindy hop. My guy tells me his name and I forget it immediately and dance with some one else. As the night boogies on, I realize this is the dance scene I was hoping for. Everyone danced with everyone else. People there to social dance and have fun. Ah yes, I’ve found my new home. They just don’t know it yet. Haha. Unfortunately they only have dances like once a month. There was the token guy who couldn’t find the beat but at least smelled great. The token old guy on the scene. Thankfully, not of the creepy variety. He was from NY, and said “Wisconsin’s in the house” to me. He was wearing sunglasses the entire time mind you. Beginners, rock stars and everyone in between. Here’s a 9 second video of me dancing! Maybe next month I’ll bring Trevor. 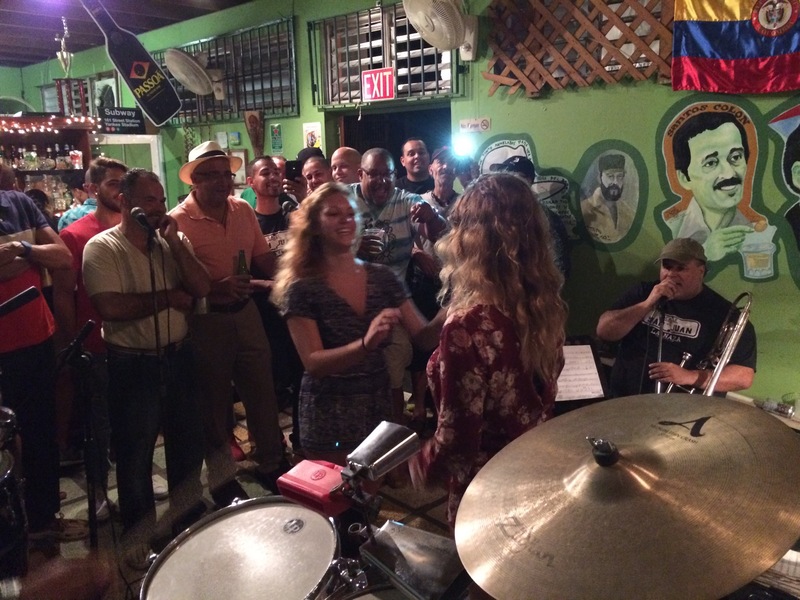 This entry was posted in Uncategorized and tagged Betances Cien Sur, dancing, La Naza, Mayaguez, salsa. Bookmark the permalink. I love your post about the new Salsa place and loveddddddddd the video. You did fabulous!!!!. First of all, where is La Naza and what is the name of the new place and where is that???? 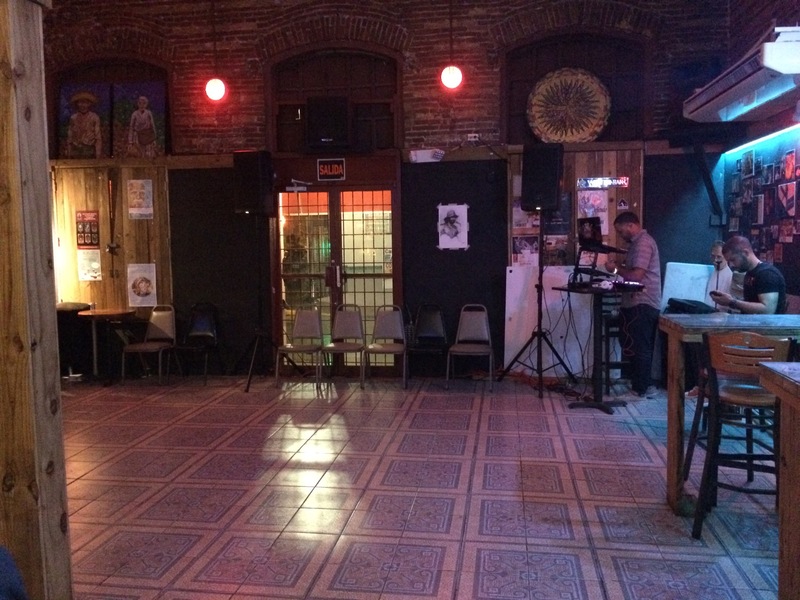 Iam still looking for a good place to dance not too far from me, I am in Quebradilla but will travel for a good time. Fortunately my hubby dances as well so having a partner is not a problem. It looks like I may not be able to keep up with you or your friends but I will try. We must meet up some time to go Salsa Dancing. Private message me the info. Hey Tonie. For some reason I can’t figure out how to private message, but La Naza is right in Mayaguez, near the coast. It’s actually on Google maps, not far from the new Friend’s cafe by the Litoral. The other club is Betances Cien Sur, right on Post Rd. Look on facebook, they post their monthly event schedule. I’ll definitely be at the next dance.